Bismarck’s Dylan Clayton is an ironman on the gridiron. Through six weeks of the 2018 season, Clayton leads the Lions in rushing (299 yards and three touchdowns), receiving (232 yards and five touchdowns) and tackles (35). “He has the ability to take over a game when his teammates need him,” said Bismarck Coach Daniel Keithley. 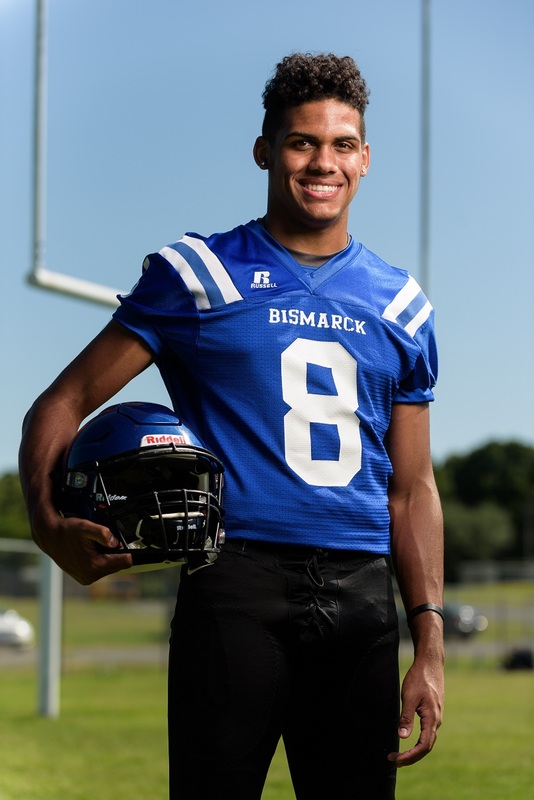 Clayton, a senior wide receiver and defensive back for Bismarck, was selected to this year’s 501 Football Team — 28 players representing all 11 counties of the 501. The team, sponsored by Conway Ortho and Sports Medicine Center, Conway Regional Health System and First Security Bank, boasts the best the 501 has to offer both on and off the field. Clayton was nominated by Keithley. How does the senior do it all for the Lions? He’s wondering that himself. “Going both sides of the ball for four quarters is sometimes dreadful — I’m not going to lie,” Clayton said. “After the first quarter, I’m tired, but it’s not about me and how I feel. I play for the town I represent, and I’m ambitious about trying to create successful plays. I want to win more than my body tells me that I do. With four games left, Clayton and the Lions are looking to finish strong and get their first 5-3A win of the year. As impressive as Clayton has been on the field for the Lions, he’s equally impressive in the classroom, boasting a GPA above 4.0. “Dylan does well in the classroom and is a great example as to how to conduct yourself off the field,” Keithley said. In addition to football, Clayton also plays basketball and runs track for the Lions. In school, he’s involved with Beta Club and the Future Business Leaders of America. In the community, he volunteers for CHI St. Vincent hospital as well as the New DeRoche Fire Department. Clayton is also a student leader at Lakepointe Church. Horatio (2-4, 1-2) is up next for Bismarck (1-5, 0-3). “The last four games have been on the down side for us,” Clayton said. “We are a young team with a lot of cleaning up to do, especially with the intensity that we are bringing. We have under 20 players, and I have to step up on all sides of the ball. High energy and focus will win us the game. The Bismarck Lions play host to Horatio at 7 p.m. Friday.